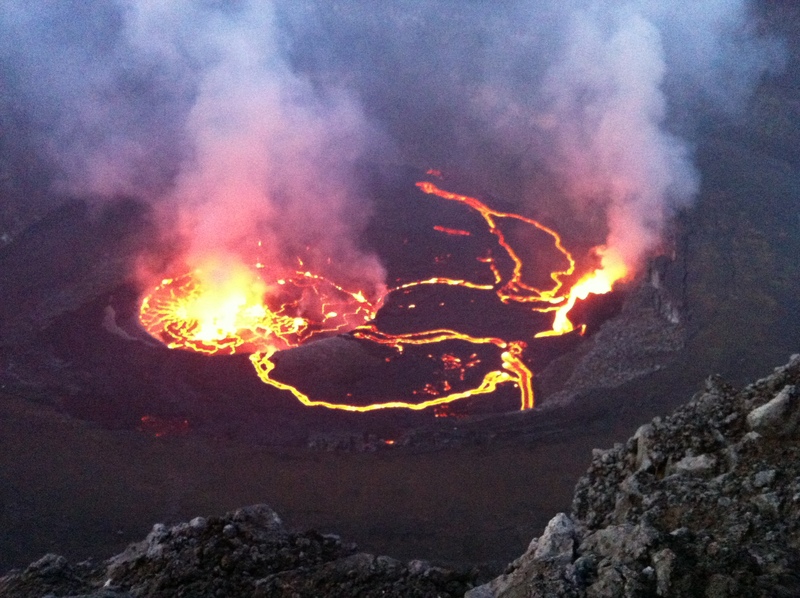 Ever since I started hearing about the Nyiragongo Volcano from other travelers in East Africa and seeing the images I knew it was something very special. However, it is located in a country that doesn’t have the best reputation, The Democratic Republic of Congo (DRC). As I am from Colombia and I know all too well about countries with bad reputations (often based on outdated or biased information), as is the case with Colombia, I decided to go to DRC! I crossed the border from Rwanda in the morning and encountered my first taste of the DRC in the border town of Goma, which was actually destroyed and buried under lava from the eruption of the Nyiragongo Volcano in 2002. The town itself has traces of this event as some streets were never repaved, next to developed avenues and neighborhoods and you even see volcano danger level boards like some other places have around the world for SPF warning. 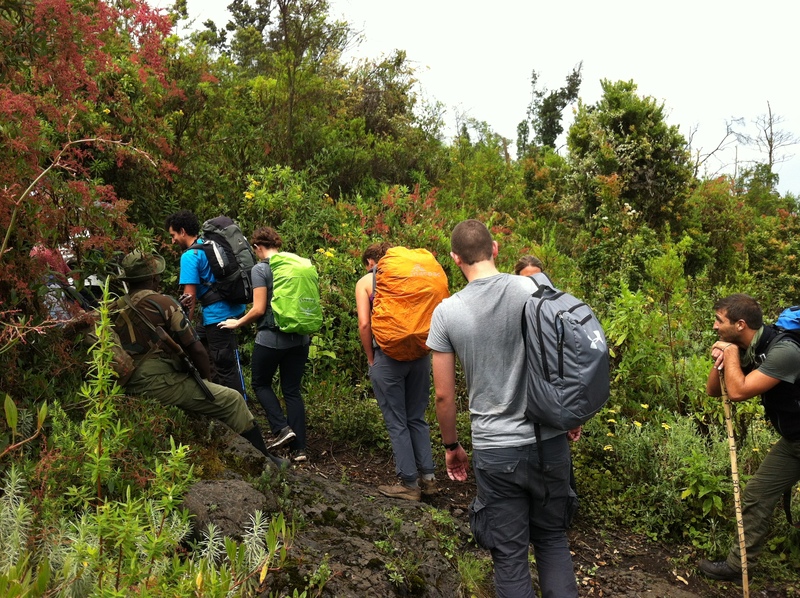 Less than an hour drive away from Goma you reach the starting point of the trek where you show your permit and get briefed and you meet the rest of the people climbing with you. From this starting point to the top of the Mountain is about 5 hours of mostly volcanic rock trail, with occasional dirt and mud trails surrounded by lush green and beautiful vegetation. I came in the rainy season so there was intermittent rain and beautiful mist and clouds and beautiful views of the surrounding mountains and Lake Kivu in the distance. When you reach the top of the mountain you are rewarded with an amazing view of the crater of the active Volcano and you get to see from nearby the amazing lava that bubbles, smokes, makes noises and constantly moves and looks different. At the top is also a camp where you spend the night in a type of cabins/or permanent structure tents.